Mermaid Princess dress is one of favorite dresses for little princesses. This satin dress features metallic scales on the skirt. 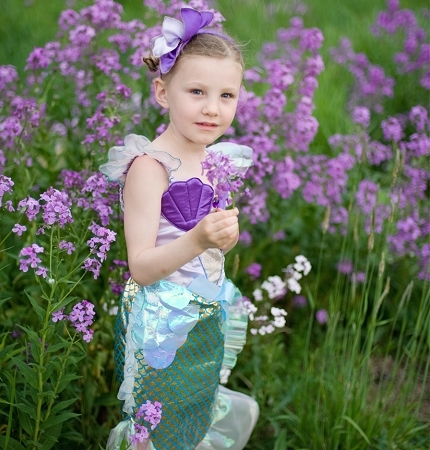 Mermaid Dress is favorite Halloween costume for little girls. Mermaid dress comes in two colors: blue/lilac and pink, size medium.